On Thursday the kids and I got to sneak away for a bit and go see our sweet friends! Michelle (or Mimi as Archer so lovingly calls her) and her kiddos are pretty much family and it has been an adjustment for everyone now that they have moved. When we lived in the same town at least once a week......or 2 or 3 times 😊 we would go to each others house first thing in the morning yoga pants and all and have coffee while the kids played, some days we would stay for lunch or if we weren't at our house my babies had no problem napping at Mimi's house and we would stay all day. It was just nice and easy. If you don't have a friend who you can show up unannounced with 5 children and its no problem, and keeps your favorite wine on hand and has diapers for your children (when hers are well out of diapers) or a friend who whenever you make a batch of cinnamon rolls you know to make two because her son loves them. You need to find one! ;) They are game changers! We were all needing day like old times and that is exactly what we got! 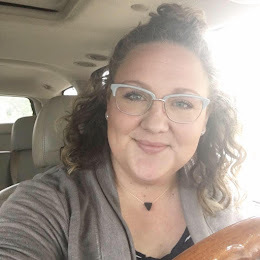 Kiddos played, coffee was drank, game plan for each others lives were created, jewelry was discussed, curly hair products were tried out, it was a great day! Archer without a doubt has his Mimi wrapped around his finger but she doesn't mind one bit and was at the ready with oranges and cookies all day. All he had to say was "Mimi please...." and she pretty much jumped off the couch to get it for him. But I don't blame her that dimple and toothless smile is pretty hard to resist.